Study in Urban Studies and Planning masters programme? 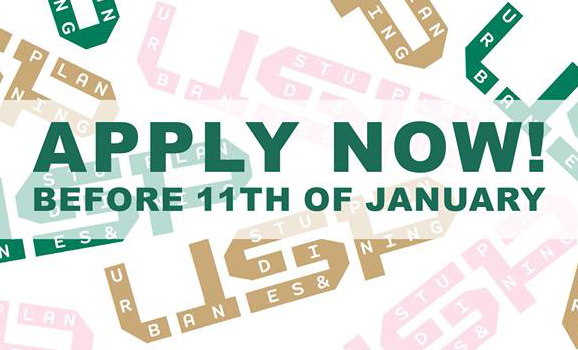 – Application deadline 11 Jan. The international masters programme of Urban Studies and Planning (USP) prepares students to excel as professionals capable understanding and addressing complex urban development challenges. Various study backgrounds, such as architecture, landscape architecture, social sciences, geography, engineering, transport, planning, economics and philosophy are suitable with the programme. Studies balance historical, theoretical and conceptual knowledge with the acquisition of methods, skills and experience. Students will thus gain a broad understanding of urban phenomena as well as practical experience in collaborative and practical situations. Studies are covering urban development challenges, ranging over several aspects, such as urban design and landscapes, liveable cities, urban economics and urban sustainability and socio-ecological resilience. USP started in 2017 as a joint programme of the University of Helsinki and Aalto University. It combines several degree options. The interdisciplinary program can be completed as Master of Science, Master of Social Sciences or Master of Arts, depending on the study track you choose at the application stage. The application deadline of Urban Studies and Planning masters programme is on 11 Jan.
Read more and see the application instructions. Architecture Speaks! lectures continue 16 Jan.